KALISPELL, Mont. 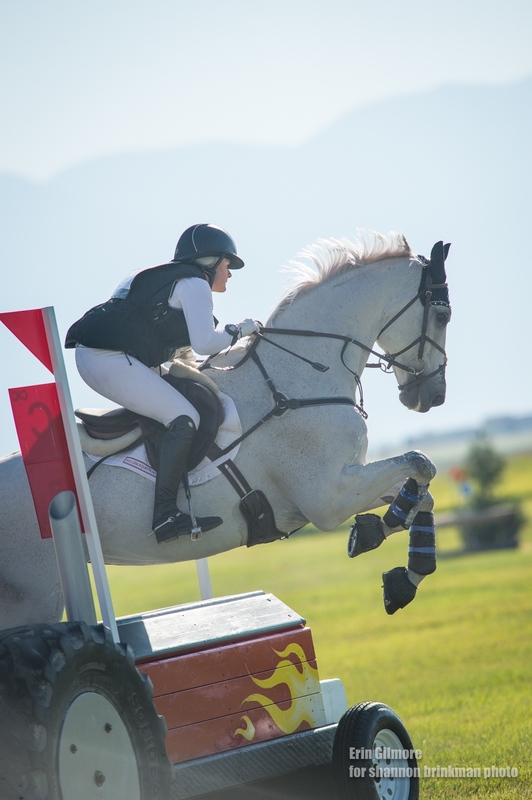 (July 21, 2018)—The long trek west is proving to be time well spent for young rider teams from Area II contending for the gold at the North American Youth Championship held this year at Rebecca Farm in Kalispell, Montana. The CICOY2* team and the CCIJ1* teams from Area II, which represents the states of Pennsylvania, New Jersey, Delaware, Maryland, Virginia, and North Carolina, both finished cross country today leading their respective divisions. In the CCIJ1*, less than a point separates the first place Area II team from the Area IV/Area VII team heading into show jumping; the teams finished at 101.2 and 102.1, respectively. Haley Carspecken (Center Stage), Olivia Wall (Mandolin R), Katherine Christopher (Frodo of the Shire), and Maia Kantorowski (Kilturbrid Rebel), who make up the Area II CCIJ1* all laughed apprehensively when asked how they feel about tomorrow’s final phase, show jumping. “I know I’m definitely nervous…but we all have the ability to put in a good round,” said Carspecken. The pressure is certainly on for these young riders. The CCIJ1* and CICYO2* teams from Area II must deliver exceptionally strong show jumping rounds to retain their lead built through the dressage and cross country phases. The CICOY2* team, comprised of Tayler Stewart (Ideal Contini), Alexa Lapp (Cambalda), Ryan Keefe (Flintstar), and Olivia Dutton (Mr. Medicott), turned in three perfect double clear rounds to advance to show jumping with a score of 99.2. They are followed in second by the combined team of Areas I, IV and VIII at 109.0, trailing by less than ten points as the teams face up for show jumping. The Area VI team closely follows with a score of 114.8. In other competition at The 2018 Event at Rebecca Farm, Frankie Thieriot-Stutes on The Chatwin Group’s German Warmblood, Chatwin, continues to lead the CCI3* field, completing today’s challenging cross country course with a score of 28.1. Although the pair incurred 1.2 time penalties (three seconds over), Thieriot-Stutes noted the course challenges and praised Chatwin’s strength and speed on the course today. Caroline Martin, riding Sherrie Martin’s Islandwood Captain Jack, closed the gap in CCI3* with a quick and clear cross country trip. The double clear round kept the pair on their dressage score of 35.3, and less than two rails behind Thieriot-Stutes. 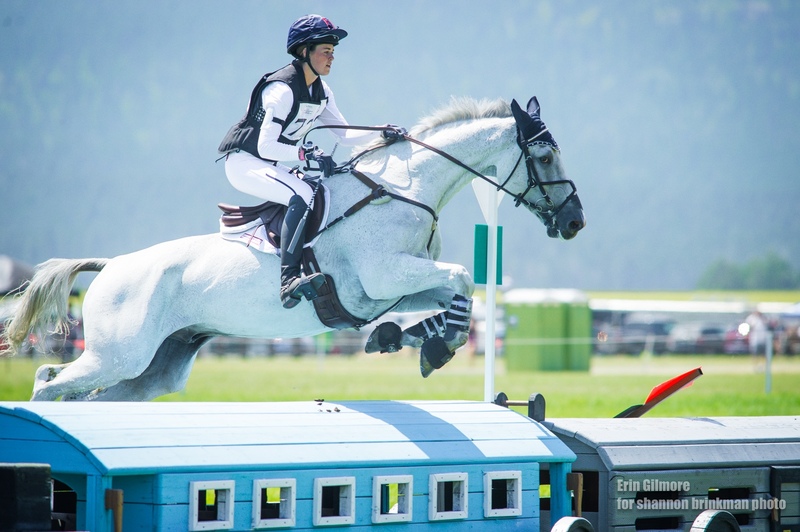 The challenging CCI format rewards fit, obedient and careful horses in the final show jumping phase. Although she will be out for the win, Martin notes that she is equally interested in investing in Islandwood Captain Jack’s development and it is part of why she traveled to The Event. “I’m glad I made the trek out and I’m so grateful to the Broussards for the travel grant, which helped make it possible…I thought this show would be a good step for him [Islandwood Captain Jack], an education. It’s not just about winning once but preparing him to succeed in multiple events in the future,” shared Martin. Also moving up on a quick cross county round were Andrea Baxter and her own Indy 500. Just 0.8 time penalties were added, putting Baxter and her experienced mount into third place on 36.1. The standings in the CIC3* also shuffled with added time penalties. Tamra Smith and Judith McSwain’s Fleecework’s Royal took the lead on 35.4, with 4.4 time penalties added. The quickest ride of the division went to Hawley Bennett-Awad and her own Jollybo, only 8 seconds over the optimum time and a combined score of 36.8. Overnight leader Chris Talley and Sandro’s Star jumped clear but had 11.6 time penalties added, to see them drop to third place on 40.9. The final day of competition kicks off tomorrow at 9:45 a.m. with the North American Youth Championships show jumping. 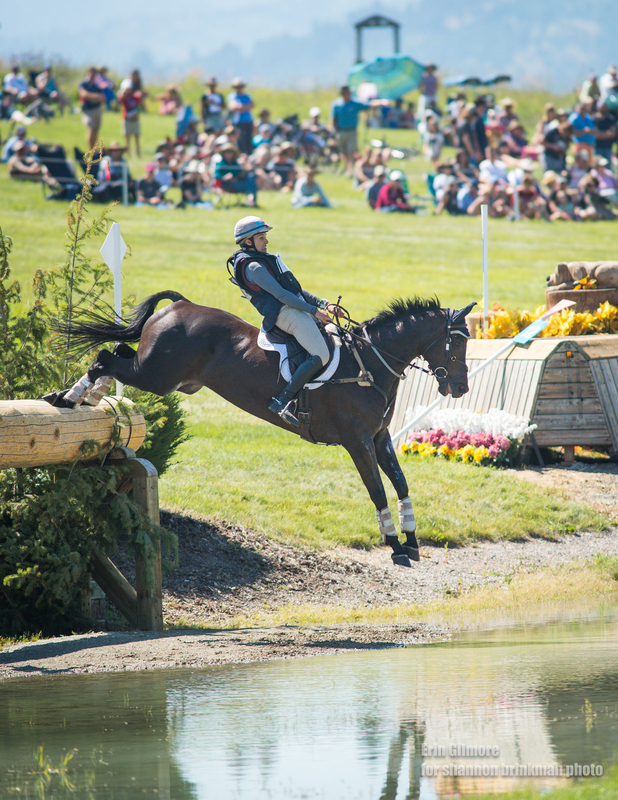 Show jumping for The Event at Rebecca Farm’s international levels will begin at 11:30 a.m.
Sunday, July 22, 8 a.m. - 4 p.m.
Trade Fair & Food Vendors: 10 a.m. - 3 p.m. Kid Zone: 10 a.m. - 3 p.m.